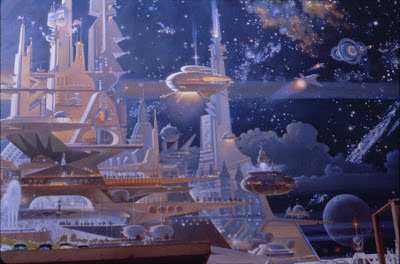 Here it is at last, the grand tribute to Horizons that i've promised to you four months ago ! 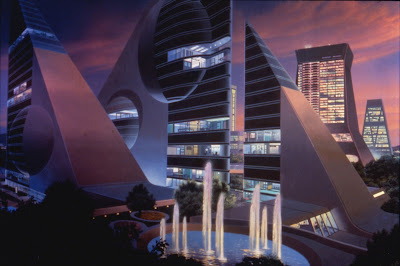 And this one is going to be a really big tribute to this Epcot beloved attraction, one of my favorite. 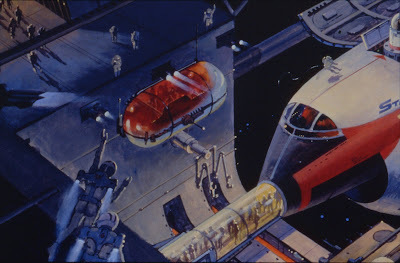 Lot of pictures, for the first time in big size, plenty of artwork, and great video of the whole ride at the end of the article, with the links to the previous Epcot original attractions artwork articles. 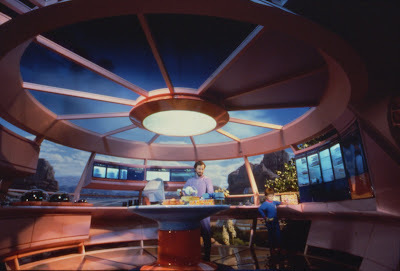 Horizons, designed by imagineer George Mc Ginnis and Collin Campbell opened on October 1, 1983 and was about the future!...and more specifically, Horizons was dedicated to "humanity's future" with this principle "If we can dream it, we can do it!". 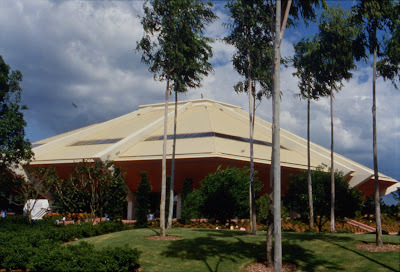 Not only the building was huge, but the 14.45 minutes ride was one of the longest one ever created by Walt Disney Imagineering. 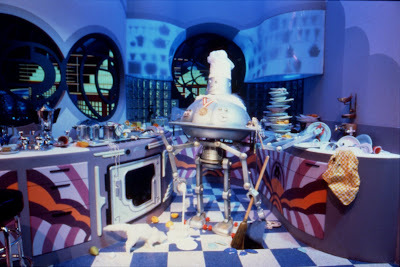 Lot of audio-animatronics - 54, exactly , and 770 props all along the ride, not to mention the 12 film projectors, the two Omnisphere screenshow, and a huge capacity of 2784 guests per hour.Everything was great: the story line, the theming, the music, everything! 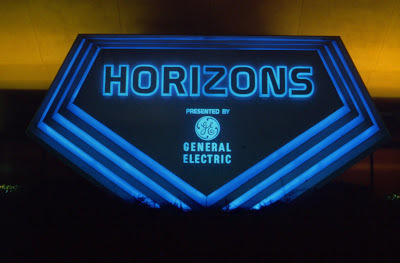 During 10 years - from 1983 to 1993 - the attraction sponsor was General Electric, as we can see on this picture of the entrance. 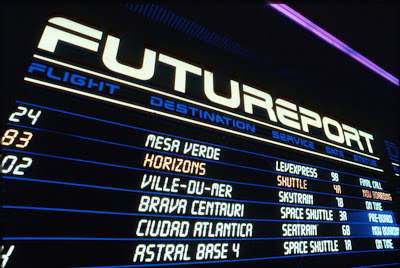 Right after the entrance, the Futureport announced the "destinations"
First, we had a look back to some of the great visionaries like Jules Verne, then to how the future was dreamed in the 30's. 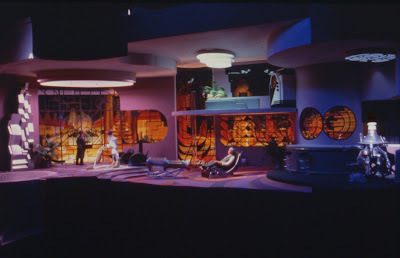 Here is a picture of the model of that scene. And here are pictures of the real thing. 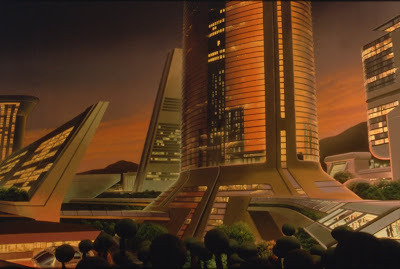 The next scene was a vision of the future from the 50's. 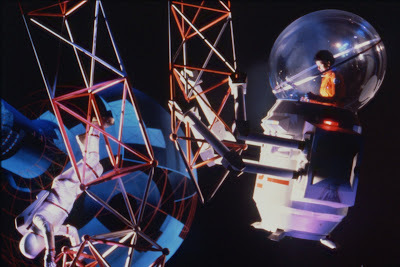 After these opening scenes the Horizons vehicle moved to the Omnimax film sequence with images of the DNA chain, or the space shuttle lift off. 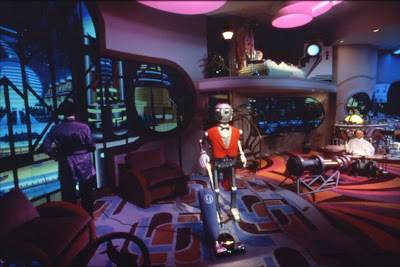 The next scene was the 21st century Habitat sequence , also called the Nova City living room. 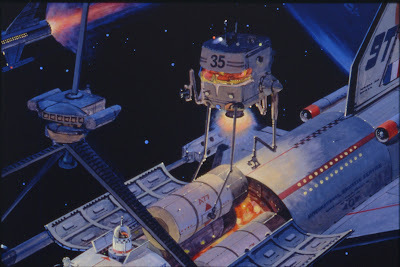 A huge backdrop painting was done for that scene, here is three close shots of this artwork. 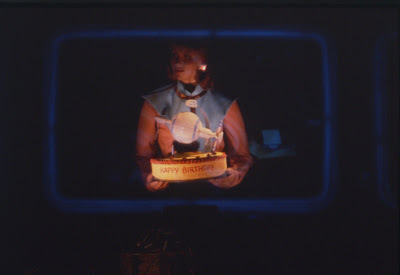 The Holographic "happy bithday" party line was the next scene, and the special effects were at that time really impressive. 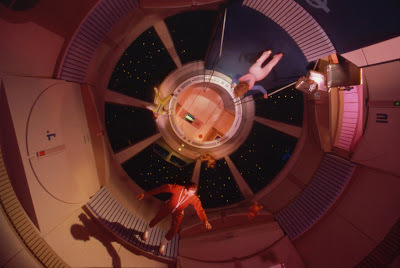 The guests had then the possibility to "choose their tomorrow" with a choice of three destinations: Space , Desert, and Undersea. A screen came in front of the vehicle and a short movie was played. 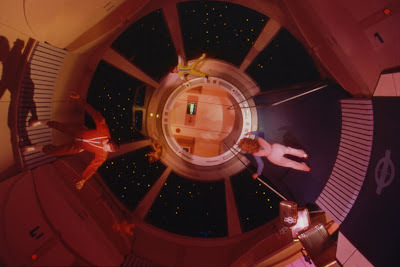 A good idea, but the image definition was not as good as it would be today. 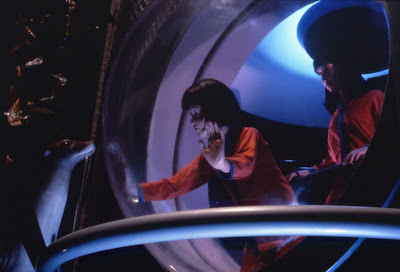 Before we arrive to the videos below, i have more rare pictures for you. 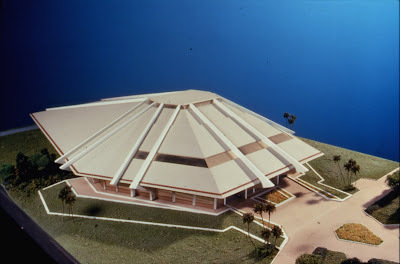 First, a model of the building. 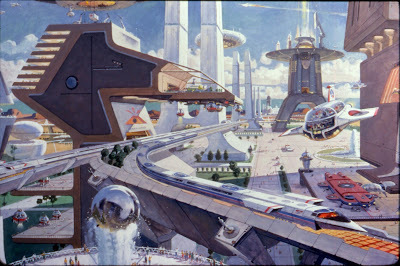 Then some artwork for the "Main Shuttle port"
Here is a fantastic painting showing a city of the future. 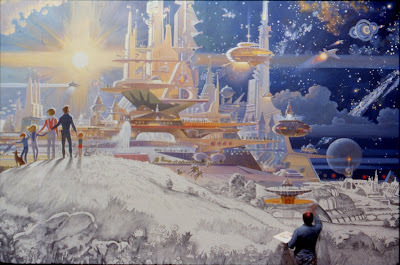 But one of the biggest backdrop painting was the "Looking back at tomorrow". 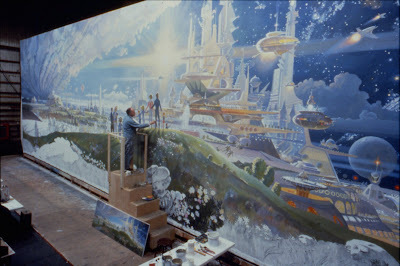 Here are some very rare photos showing the painter at work - Robert McCall, a famous artist who worked mostly for NASA - and details of the painting. 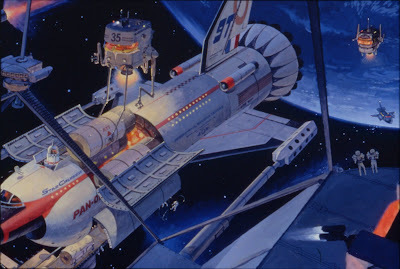 And now it's time for you to board inside a Horizon vehicle and enjoy this fantastic ride, thanks to this 3-part youtube videos from Century3Horizons, that i thank a lot, and congratulate for the high quality of the filming. 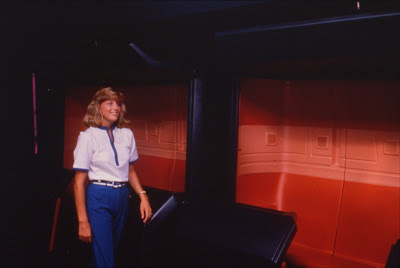 Just like everybody who did the ride at Epcot, you will love Horizons instantly, it was Imagineering at its best! And don't forget: If we can dream it, we can do it! 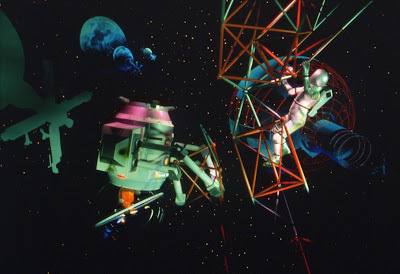 , for The Land HERE, and for Journey into Imagination HERE. 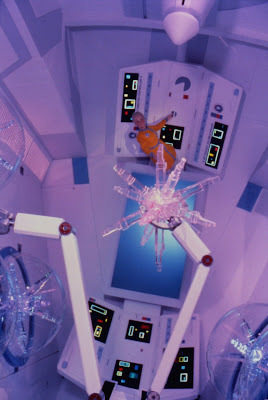 More coming next week about Universe of Energy! What an absolutely fantastic post. 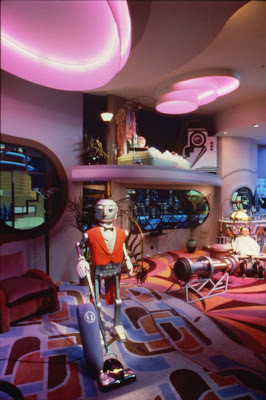 Having never been to WDW, it certainly helps to create a feel for the place for me. Thank you very much. 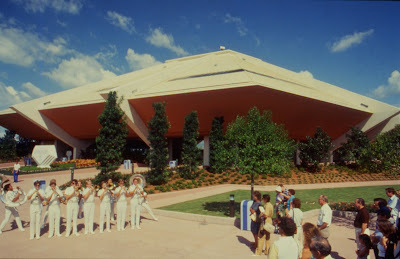 This brings back so many good memories of the old Epcot Center. 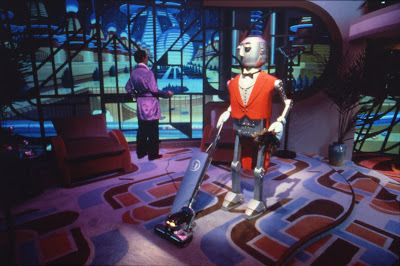 I truly miss this attraction. 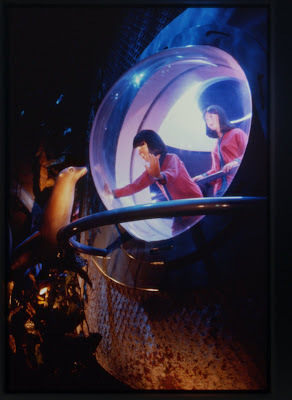 Thank you so much for posting all these fantastic pics from this attraction. 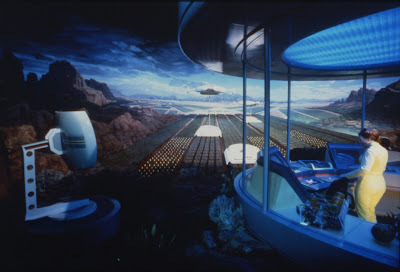 It's one of the few rides that everytime I go to Epcot I think about how much I miss it. 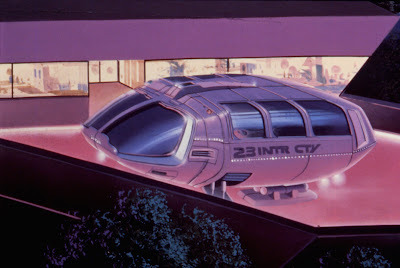 I see many of these becoming my computer wallpaper in the future. Thanks again, for another amazing post. 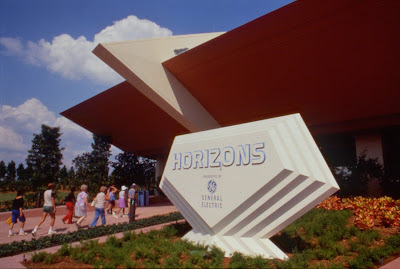 Horizons was wonderful and I am glad I got to experience it several times before it went away. 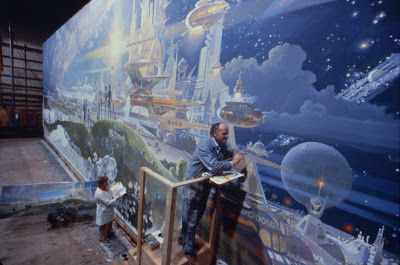 The "Painter At Work" Photos are brilliant! Completely awesome to see things being created at the most Magical place on earth! Thanks..
Alain, thank you for posting these. 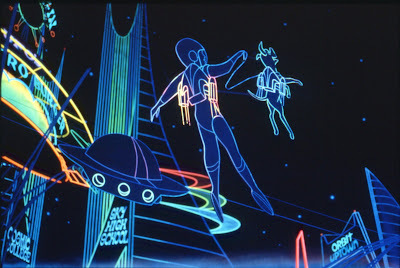 They definitely bring back some fond memories of this ride. 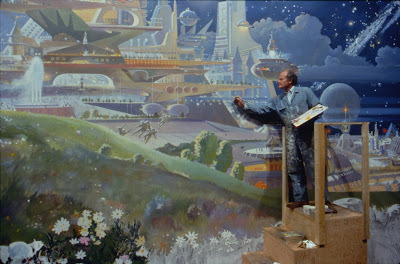 Just a minor correction, the artist of that final mural wasn't a WDI artist, it was Robert McCall, a famous artist who worked mostly for NASA. 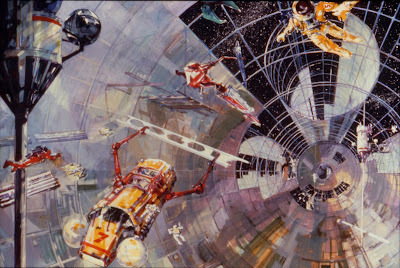 He also did the city and sea colony art at the ride entryway, but ironically it was someone else who did the space art. 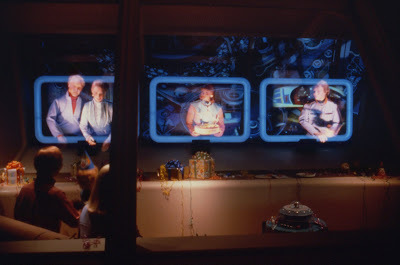 Is there any way to find out what happened to the mural when the building was closed/brought down? Was it, or at least a part of it, saved from the rubble? This is incredible! Thank you so much for posting this! I love when I have the opportunity to read blogs as interesting as this. 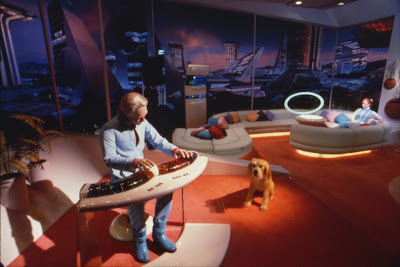 really thanks and congratulations I love the information in this blog about EPCOT 25TH ANNIVERSARY - a special celebration - HORIZONS tribute - photos , artwork and video , I wonder if there are updates to this post, thanks!